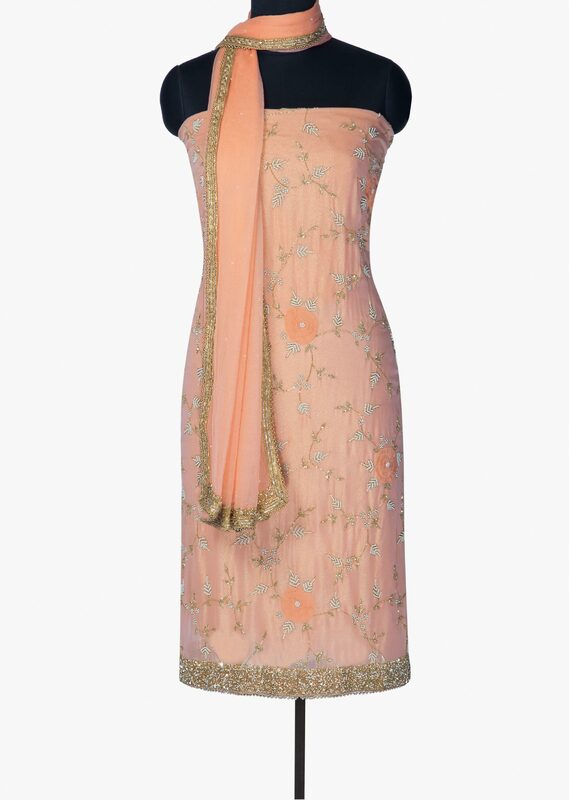 Pink unstitched suit in foil georgette. 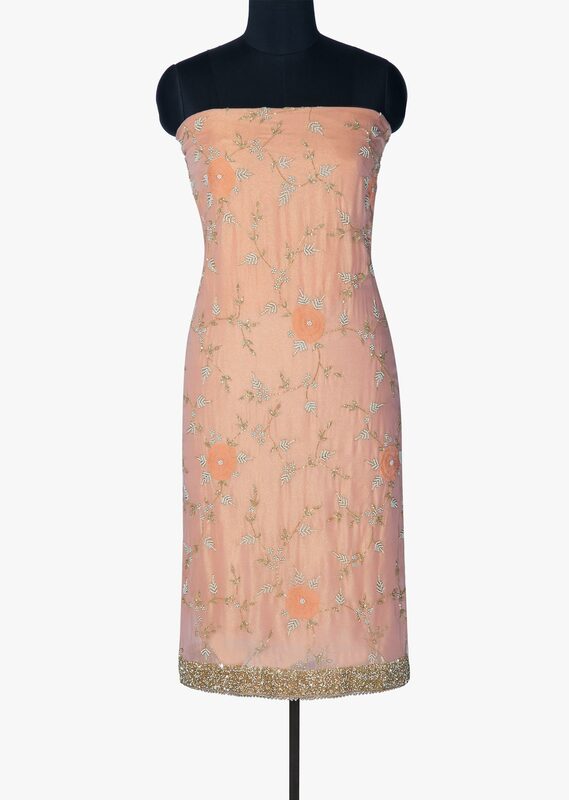 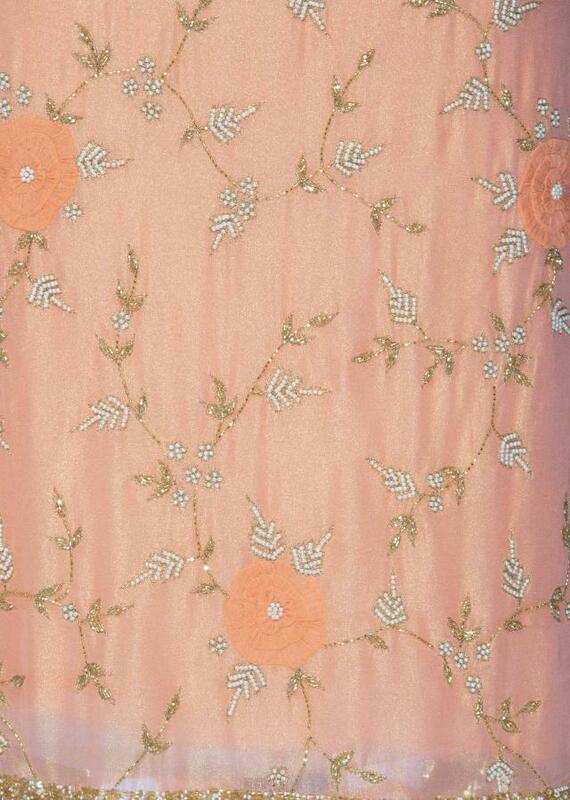 Embellished in sequin and zari embroidery all over along with 3D flower. Bottom fabric is in santoon and dupatta in chiffon with lace border.